Sewing and needlecraft are popular ways for many people to support and fundraise for all sorts of good causes. Sewing for a particular group is also great fun and very satisfying. Some people like to work on individual projects. Whilst others enjoy being part of a quilting group working together on shared pieces of work. Either way there are plenty of charity groups only too grateful to receive a beautiful homemade quilt to use for their fundraising. Beautiful, hand-stitched quilts are expensive to buy and will usually fetch a good price if sold for your organisation. You need to identify the best way to advertise and sell them. This might be via word of mouth or at local events. Sometimes a friendly store, church or school will display a quilt for you. If you are unable to sell them locally some organisations are having great success using eBay. If your organisation signs up with their charity scheme you can save on fees and gain other charitable benefits for your listing. It also allows you to tell people a bit about your organisation. This can attract more bids and higher prices. Beautiful quilts make great raffle prizes. They are really popular with many organisations as the centrepiece of their annual fundraising event or Christmas Fair. Many quilters will simply offer quilts to charities and organizations close to their hearts. Sometimes however charities will approach individual quilters and suggest that they would welcome a quilt to auction or raffle for charity. Quilting clubs are also worth investigating. Many quilters meet regularly with others who share their hobby. Some groups will use this time specifically to work collaboratively on charity quilts. The recipient charity being decided by the quilters. Do not be afraid to ask. A polite letter and some information about your organization will often yield results. Do allow plenty of time however. Your organization's supporters may also like to donate scrap material. 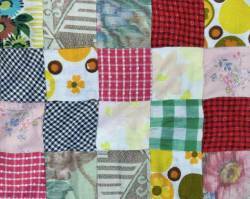 If you are fortunate enough to be given a quilt to use for fundraising do make the most of it. There may be the opportunity to have a picture in your newsletter, on a website or the local press. This helps promote your cause, advertise any event at which the quilt will feature such as a Summer Fair, and show your gratitude to the quilters for their hard work. 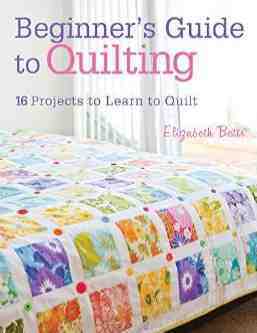 You can usually find details of nearby quilting clubs at your local library or community college. The practice of signing names into quilts began way back in the 1840s. Originally celebrities were asked to pen their names directly onto the quilts themselves or squares of material that were then added into the design. Before long however these names were then being embroidered over so that the name was effectively embroidered in to the quilt which was then sold. Good fundraisers never miss a trick and the natural extension of this idea is to then sell the chance to have your name embroidered on to a fundraising quilt to the general public. This soon became very common practice and even very ornate quilts would have peoples names cleverly stitched into the design. Some of these quilts would then be raffled or sold but others would be hung in public places as works of art. A bit like a modern fundraising wall. Before long a strong tradition of fundraising signature quilts was created. Money from quilts raised funds for all sorts of good causes, hospitals and even political groups. In particular signature quilts were a major source of funding for the American Red Cross. These days many electric sewing machines have an embroidery function making the addition of people's signatures an easy option. So even today the tradition continues and modern quilters continue to produce signature quilts to raise money for good causes. We would love to feature your charity quilts on our board. If you are on Pinterest follow our quilt board and we will then send you an invite to pin. Of course you are not restricted to quilts. Quilted cushions, table runners, soft toys and rag dolls are all popular additions to any raffle or auction table. 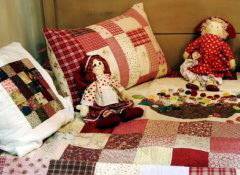 There are lots of charity quilting patterns available from local quilting groups and online. 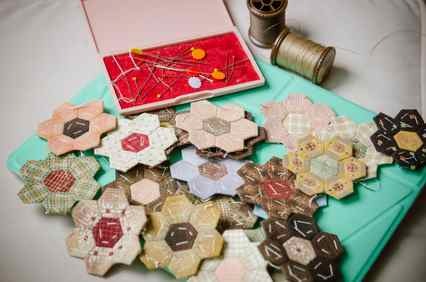 This is popular with some quilters who prefer to make quilts that will actually be used. There are all sorts of groups who organise the making of quilts like this some local some national. A popular recent innovation is using old scraps of material and duvets to make warm and practical sleeping bags / quilts for the homeless. An internet search will soon turn up all sorts of groups who make quilts for charity who will offer you support, advice, quilting patterns and sometimes material. There are 2 other great sites for for sharing information on quilts and quilting.